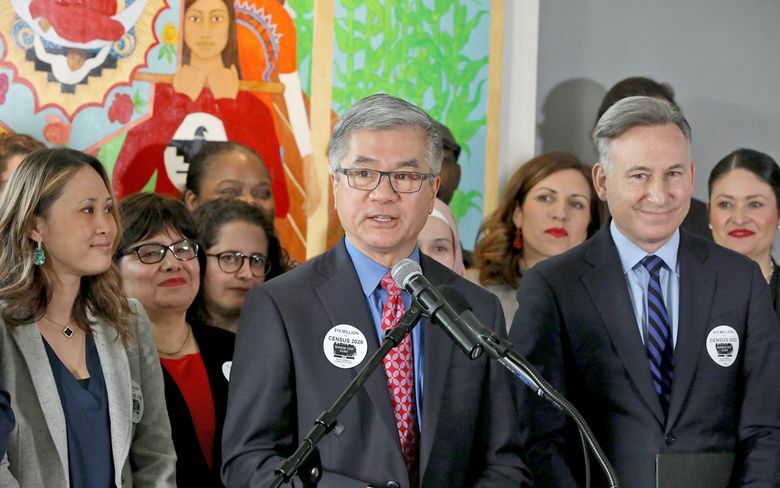 The last time the United States conducted a census, Seattle’s own Gary Locke led the way, having been appointed by President Barack Obama to oversee the once-in-a-decade process. On Monday, the former U.S. commerce secretary and Washington governor joined other local leaders on Beacon Hill to warn that his successor and President Donald Trump hope to suppress the next count, partly by trying to include a question about citizenship. That’s why Seattle, King County and the Seattle Foundation will together award $1 million in funding this summer to community organizations for outreach, Locke said. The tally will help determine how much federal funding the state receives and whether the Seattle area is awarded an additional member of Congress. The date of reference for the count is exactly one year from Monday, though the process will begin somewhat earlier. 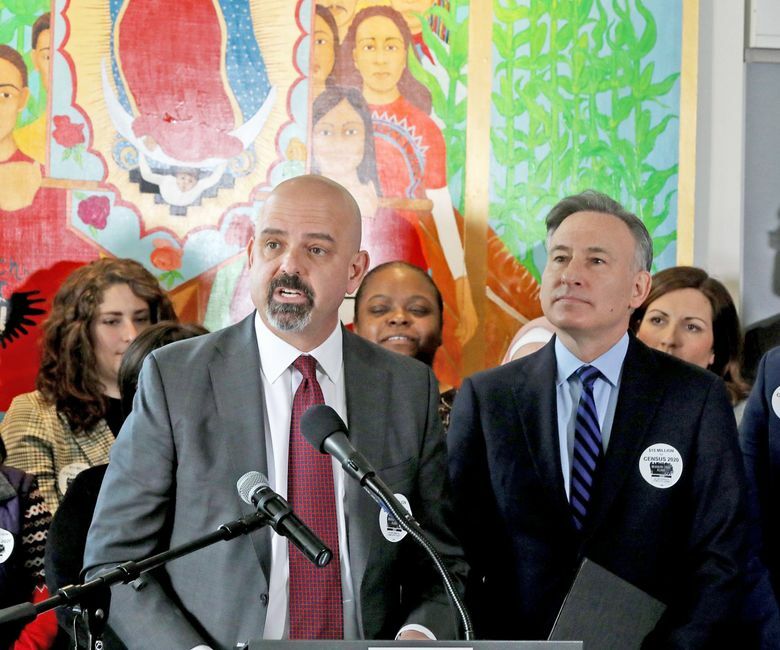 “There’s so much at stake,” Locke said in a news conference at El Centro de la Raza with Mayor Jenny Durkan, County Executive Dow Constantine and a crowd of community organizers. The city and county are each contributing $250,000 and the Seattle Foundation is contributing $500,000, Durkan and Constantine said. The money will help organizations such as El Centro connect with people who historically have been undercounted, including immigrants, people of color, LGBTQ people, renters, students and homeless people, they said. El Centro may send canvassers into neighborhoods and invite community members to use the organization’s computers, said Estela Ortega, executive director. 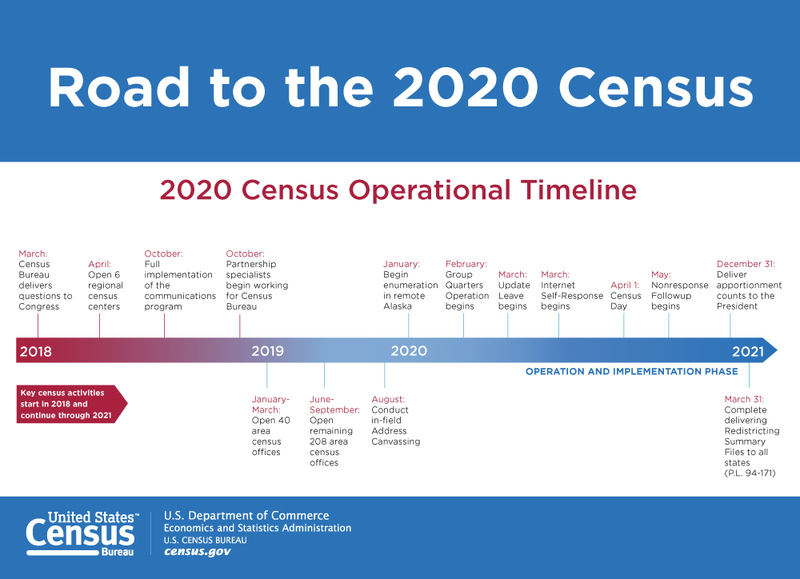 The 2020 census will be the first administered primarily online. Washington received more than $16 billion in fiscal year 2016 through federal programs guided by 2010 census data, such as Medicaid, student loans, food stamps and Section 8 rent vouchers, according to a George Washington University report. Multiple lawsuits have sought to block the Trump administration from asking about citizenship in a decennial census for the first time since 1950, arguing the question will depress participation. The U.S. Supreme Court recently agreed to decide the issue. Though the U.S. Census Bureau is prohibited from sharing any census information that identifies individuals, “people are fearful,” due to the political climate, Ortega said. The Census Bureau achieved a 74 percent mail-in participation rate in 2010 partly by seeking help from “trusted partners,” such as religious, social and civic organizations, Locke said.